The wait is finally over for college basketball fans. The Lipscomb men’s basketball team begins its quest for a second consecutive ASUN championship on Tuesday when Sewanee pays a visit to Nashville. Lipscomb is loaded with experience, but that means expectations are high. 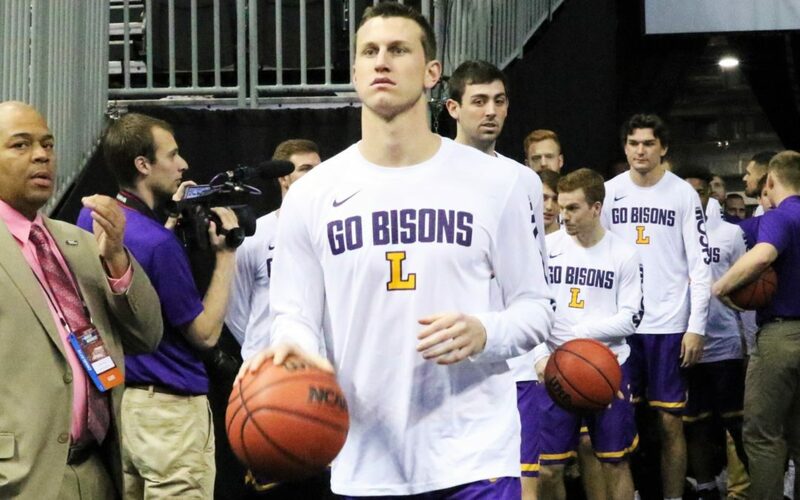 The ASUN tabbed the Bisons as the preseason favorite to win the league, and numerous media outlets also have projected Lipscomb to return to the NCAA tournament. Can the Bisons recreate last season’s magic? Championship seasons usually require the stars to align, and that’s exactly what happened for Lipscomb last year. The Bisons swept Belmont for the first time since the 2009-10 season, finished atop the ASUN with a 10-4 conference record and knocked off Florida Gulf Coast on the road to take the league title in front of a national TV audience. With each of its top six scorers returning, it’s reasonable to assume that Lipscomb’s offense could be improved in 2018-19. Couple that with the attrition that other ASUN teams have experienced during the offseason and it’s easy to see why the Bisons have been tabbed as the favorite. Will Lipscomb’s senior class give them the edge in tight games? In games that come down to the wire, Lipscomb will have experience on its side. The team boasts five seniors in Garrison Mathews, Rob Marberry, Nathan Moran, Eli Pepper and Matt Rose. Three juniors – Kenny Cooper, Michael Buckland and Andrew Fleming – also bring significant minutes played to the lineup. That experience will be critical when facing teams of equal stature, including Belmont, FGCU and North Florida. And fortunately for journalists covering the team, there will be no coaching clichés and excuses related to having a “young” team. Has Garrison Mathews taken the next step in his development? Mathews enters as the ASUN Preseason Player of the Year after averaging 21.7 points per game last year. The 6-foot-5 guard has increased his offensive production each season, and Alexander said he believes that Mathews has elevated his game to an even higher level this offseason. While Marberry (15.9 PPG) and Cooper (10.1 PPG) are solid offensive players, Mathews is the team’s go-to scorer, and his improvement could lead to even more victories for Lipscomb this season. How much will Nathan Moran contribute after returning from injury? Fifth-year senior guard Nathan Moran sat out the entire 2017-18 season while rehabbing from multiple hip surgeries. He took a redshirt last year and is now healthy and set to return to the Lipscomb lineup. It remains to be seen just how quickly Moran can return to his form from the 2016-17 season, when he averaged 11.1 points per game and shot nearly 42 percent from beyond the arc. Will the freshmen see any playing time? Newcomers Jake Wolfe, Alex Jones and Jackson Strates join an experience-heavy Lipscomb roster, meaning the trio of freshman likely won’t play major minutes right away. Strates tore his ACL in preseason practice and is out for the season, but Alexander said he trusts that each of the freshmen could deliver if called upon. Redshirt freshman center Ahsan Asadullah is also set to make his collegiate debut after missing last season with an injury. Nov. 15 vs. Belmont 6:30 p.m.
Nov. 20 at TCU 7 p.m.
Dec. 4 at Belmont 7 p.m.
Dec. 12 at Louisville 6 p.m.
Dec. 21 vs. Vermont 7:15 p.m.
Dec. 30 at Clemson 2 p.m.
Jan. 9 vs. North Florida 6:30 p.m.
Jan. 24 vs. FGCU 6:30 p.m.
Jan. 29 at Liberty 6 p.m.
Feb. 13 vs. Liberty 6:30 p.m.
Feb. 20 at FGCU 6 p.m.